Job Interview Advice | Get the job, interview advice for your job search. 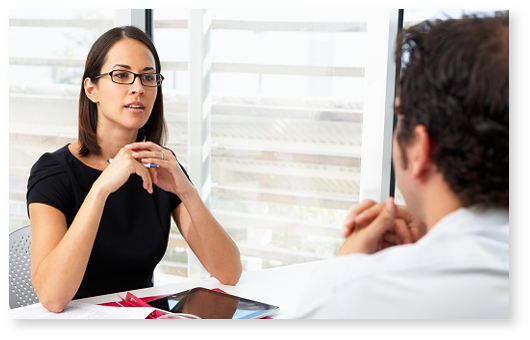 Job interview advice – Getting the interview right can be difficult, often it can feel daunting leaving the job seeker failing right when it matters the most. So what can you do to get the interview right? Here we offer a few tips that may help you along the way to completing a great job interview. Be positive ….. Maintain a positive attitude regarding all aspects during your job interview. Don’t talk negatively, particularly about your previous employer as this will give the interviewer a negative impression about you. If there is something lacking in your skills and / or experience, try to turn it into a positive. For example you may be asked if you have a particular computing skill, such as Microsoft Word. Be honest, if you don’t possess that particular skill, tell the interviewer, however also point out that you are very computer literate and willing to learn new skills. Skills, hobbies etc ….. If you lack work experience in a particular field, other aspects may help. If you, for example, have other experience i.e. you help coach a local football team, volunteer at the local dog rescue, this will help demonstrate you are willing to apply yourself and work as part of a team. Don’t be afraid to bring up these types of interest during your interview if it is relevant. 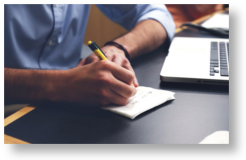 Research ….. the company you are going to be interviewed for. This will show you are proactive, it will also give you elements to add to your conversation. It is almost certain you will be asked “what do you know about the company?” You will have your reply ready, you may have even prepared some questions based upon this knowledge. Ask Questions ….. Be prepared, show that you are interested in the role and the company. Ensure you have prepared a few relevant questions, your interest will demonstrate your motivation. Don’t make the mistake of having no questions as you will appear to be disinterested.